We're here again with another MFT Color Challenge! Join us as we create with this wintry color combination. This challenge features cool colors to inspire you — Spearmint, Green-Eyed Monster, Blue Yonder, and Cornflower. Anna Kossakovskaya creates an oh-so-pretty design using the Mini Modern Blooms stamp set and Die-namics. Whenever a color combination includes green, it's an easy leap to think floral. The Brick Wall Cover-Up Die-namics creates a great dimensional background for this delicately feminine design. Barbara Anders dreams up a lovely floral sympathy card in the soothing cool colors of Color Challenge 37. 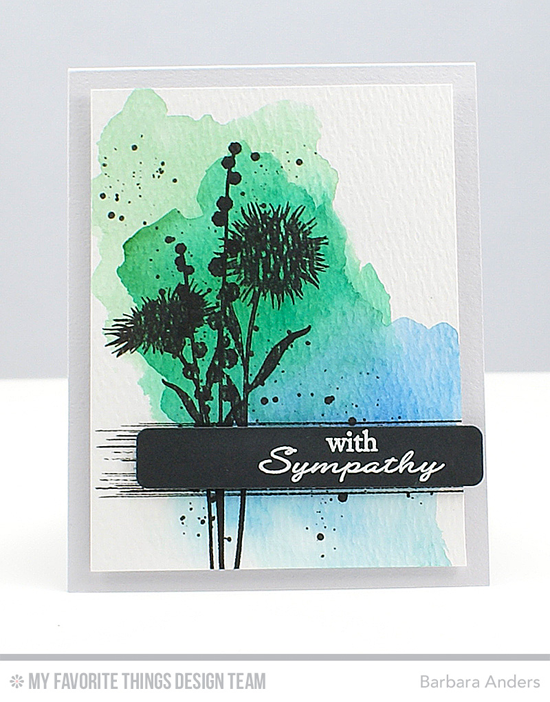 Sometimes with sympathy cards it's difficult to design with lighter colors, but her minimal uses of black with the Grand Peaceful Wildflowers stamp set set against the pretty watercolor background are just right. For more great ideas for sympathy cards, check out this post HERE. 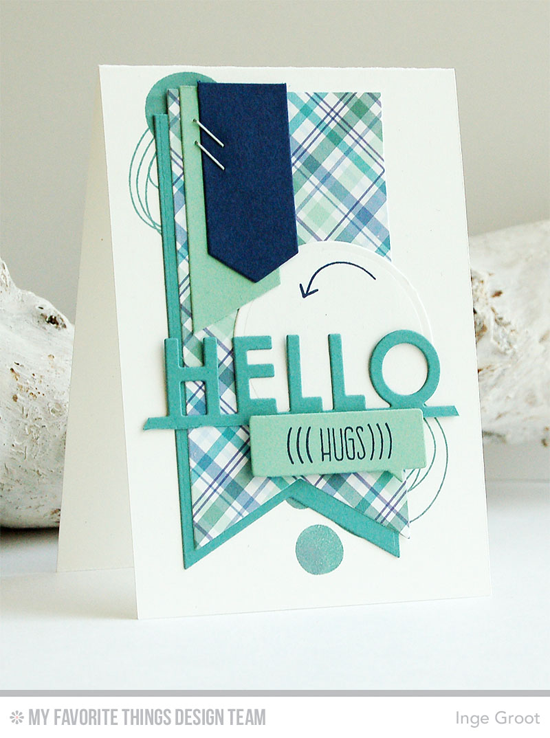 Inge Groot found the colors in a the Subtle Plaids Paper Pack and added fun flags using the Fishtail Flag STAX Die-namics. I love how she added delightful touches with the Whimsical Wishes stamp set for a lot of visual interest. 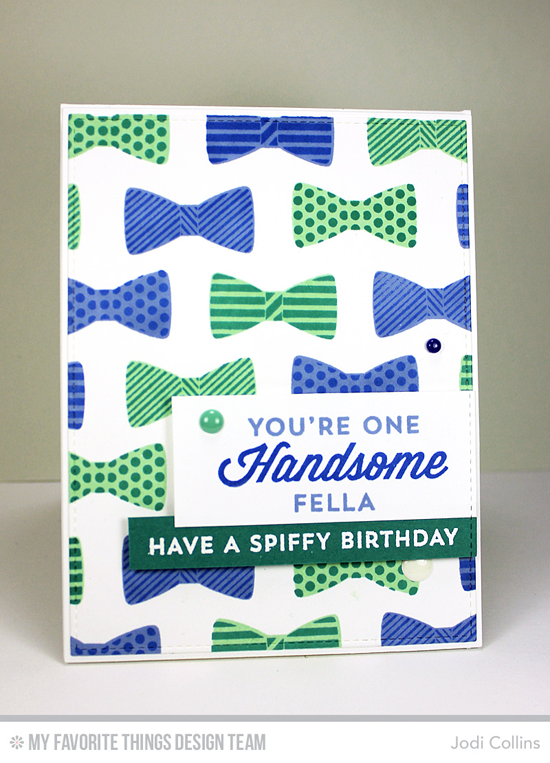 Jodi Collins inks up the Terrific Ties stamp set for this colorful concoction of a masculine design! Those snazzy bow ties look great in the greens and blues of the color combination! 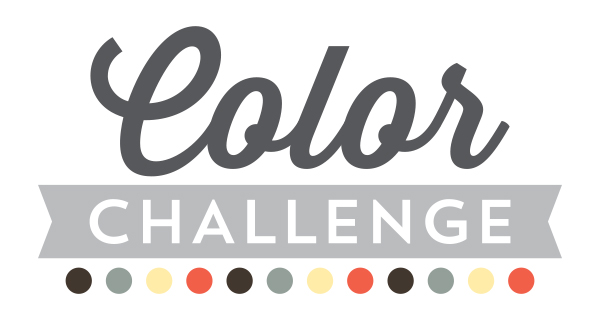 Julie Dinn's design is a super saturated take on the challenge. 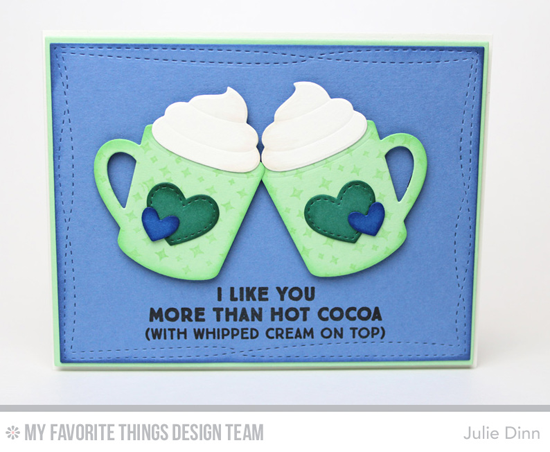 I love the deep blue background and the tilted mugs and delightful sentiment are sure to chase away the winter blues! The detail that she created on the mugs with one of the accent stamps from the Undeniable Chemistry stamp set truly adds to the design. Congratulations, Tammie Edgerton! You are the randomly selected winner of the MFT Color Challenge. You can view all the entries from the last challenge HERE. You have until Wednesday, January 27th, at noon EST to add your link and be eligible for the prize of up to $20 in MFT Cash. Winners are chosen at random, so everyone has a chance! The prize is a $15 Gift Voucher to My Favorite Things, but if you use MFT stamps and/or dies in your project, you’ll receive an extra $5.